Unbeaten New York contender, Miller has mocked those words and invited Joshua to box in his home city this summer. “Hell yeah, I will welcome him to New York. We can make the fight happen,” Miller exclusively told Skysports. “He is definitely taking (American fighters) lightly because he had a good experience with Charles Martin. Joshua’s promoter, Eddie Hearn indicated that Miller was a future option last month, telling Skysports, “Jarrell Miller is a real possibility. "He’s a threat. He’s got a great engine, he’s got great work-rate as well and he’s confident that he beats Joshua. 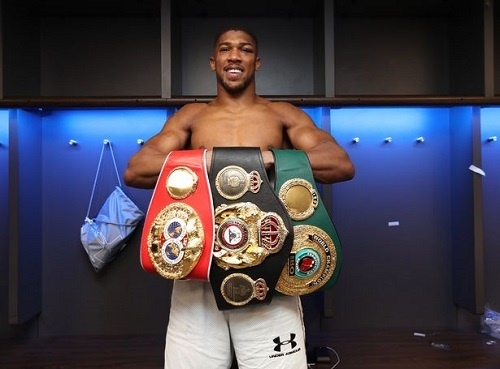 Miller is ranked No 3 by the IBF, WBA and WBO – the belts that Joshua now holds – but must first aim to stay unbeaten in his 22nd fight, against Johann Duhaupas, this month.